This page contains links to other peoples websites and other Riley related sites except Clubs and Museums (use links on the left for these). The Riley Archive Project. A group of Riley enthusiasts headed up by Victor Riley himself want to create a museum in the Coventry area. It is a great idea. 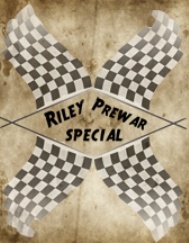 Phil Soden "Riley's in Australia"
http://www.prm-marine.com/about-us.php?id=13 Percy Riley's engine and gearbox company still exists! http://www.motoringpicturelibrary.com/Images?filter=riley&offset=150 The Motoring picture library show over 400 vintage Rileys with some details on registration numbers and drivers/owners, very interesting - your car may be on there, all pictures available to buy. http://www.britishpathe.com/search/query/riley vintage British Pathe news footage available to view and buy, stills also available to buy. The "Classic Car Catalogue" has details on hundreds of marques from 1930 onwards http://www.classiccarcatalogue.com/ including Riley of course, go directly to that page click here - http://www.classiccarcatalogue.com/RILEY%201930.html then go forwards and backwards by year. If you are lucky this blog shows you Rileys - https://myntransportblog.com/category/autovia/ even though it says Autovia!